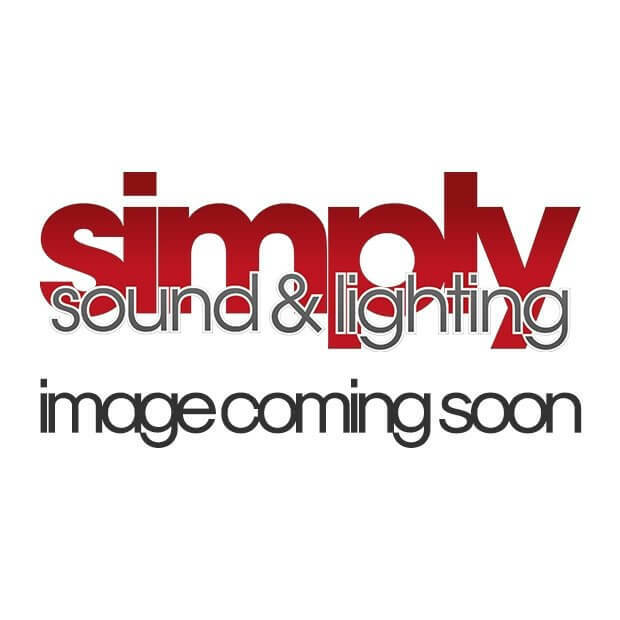 ADJ's Quad Phase HP 32W "4-in-1"quad-colour LED moonflower offers twice as many majestic colours as a TRI LED. Making sure that it will bring you brilliant, razor-sharp beams of light. Expect a great assortment of programmable modes and features. The Quad Phase HP from American DJ will certainly offer you the tools you need to create that engaging light show you are looking for. 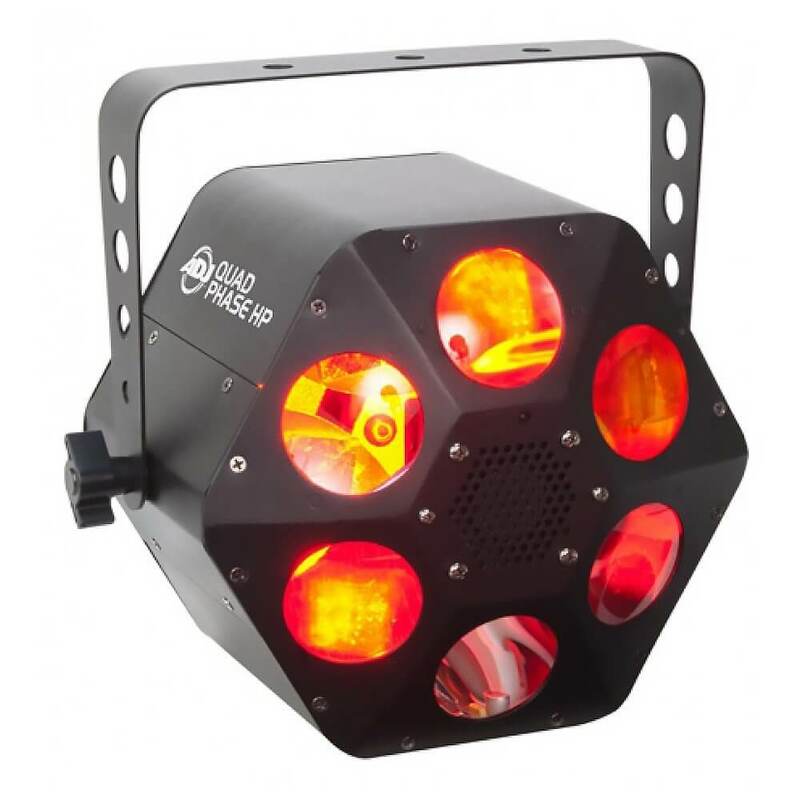 American DJ's Quad Phase HP is designed to fill a room and dazzle a crowd with its dozens of razor sharp beams of light. 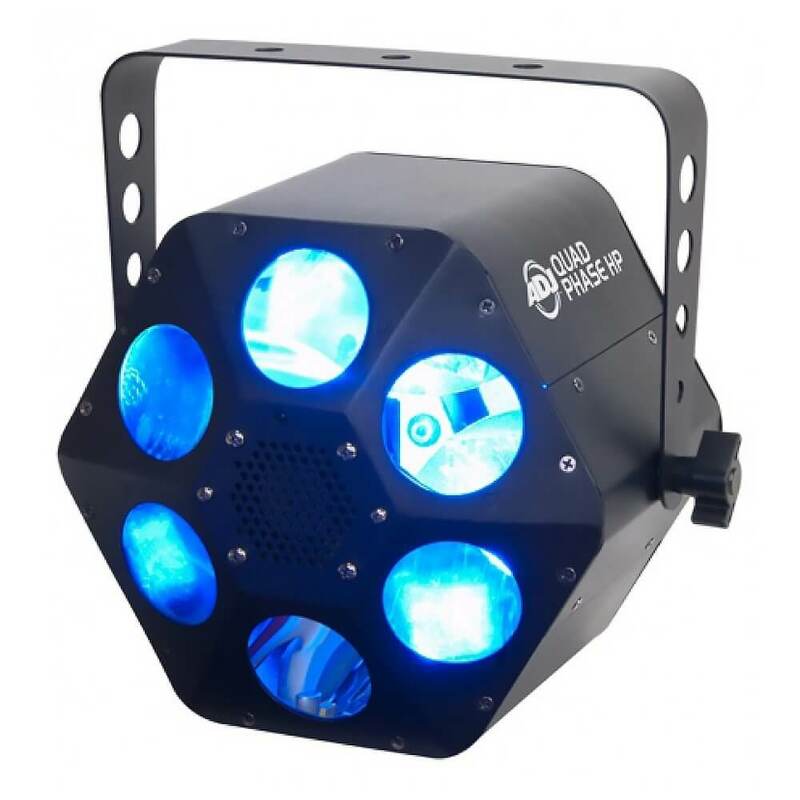 This device is perfect for clubs, wedding receptions, parties, or dance stages. This technologically advanced moonflower features a homogenized 32W 4-in-1 quad colour LED source (RGBW). Offering twice as many majestic colours as a “TRI LED”, the Quad Phase produces up to fifteenth colours in all. Using a 1.8 Degree Long Life Stepper motor Technology it can produce quick accurate movement or smooth fluid move movements for mood music. Use one of the 4 DMX channels for a truly customized experience (Color, Rotation, Strobe, Shutter). 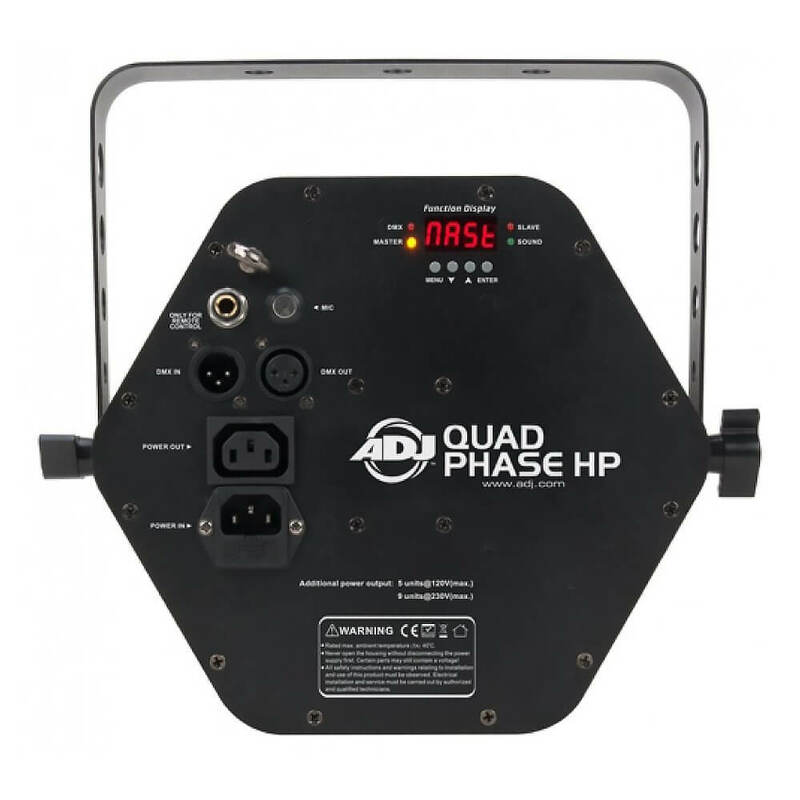 The Quad Phase HP also offers all the latest features sought after in special effects lights such as: DMX-512 for programming or linking capabilities, exciting built-in sound active programs, no duty cycle (run all night), a long life LED source (30,000 hours), 4-button DMX display on rear (for easier programmability), IEC power daisy-chaining, a 1.8 steeper motor for smooth movement and is compatible with ADJ's UC IR easy-to-use mini controller (sold separately) and the Airstream IR app. Use the Quad Phase HP at your next gig and show off your superiority.